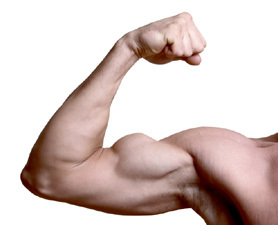 Muscle your résumé to the top of the heap! Ok you’ve got the bones for your résumé now let’s flex those muscles. Don’t worry about formatting at this point; your main goal is to list the duties you performed on the job and the skills you learned while performing those duties. Take each job or volunteer position and think about what you did, put it in simple terms, you can always elaborate later. If you’re having trouble coming up with info walk yourself mentally through an average day on the job taking note of all the things you did, from opening the store (Key holder duties) to checking stock (Inventory management duties). If you’re really at a loss for what to include or English is your second language, check out www.workingincanada.gc.ca and type in your job title and look under duties. Phrase your duties as skills. Soft skills are personality or character traits which although unquantifiable are none-the-less essential and much sought after by employers so they should definitely be included in the skill section of your résumé. Now that you have most of the content, it’s often a good idea to get help from your friendly local resume specialist on how to tailor your résumé towards your objective and sector so it truly reflects you! MCACESBlogs is a series of blog posts aimed at assisting job seekers and their peers with job search! These posts were created by students of the Career Consultant Certificate Program at Mohawk College. If you like what you read, be sure to like, follow, distribute to your network. Thank you and happy reading!